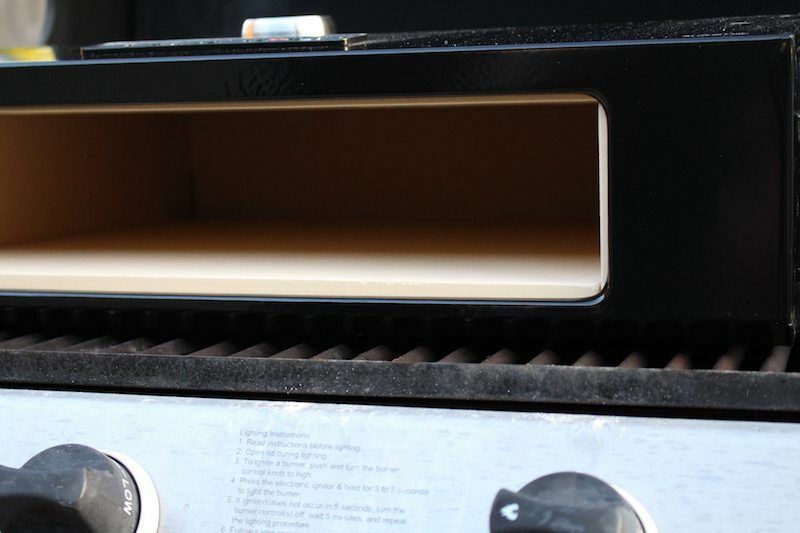 The BakerStone Pizza Oven Box was very easy to set up and get started cooking pizzas on my gas grill. 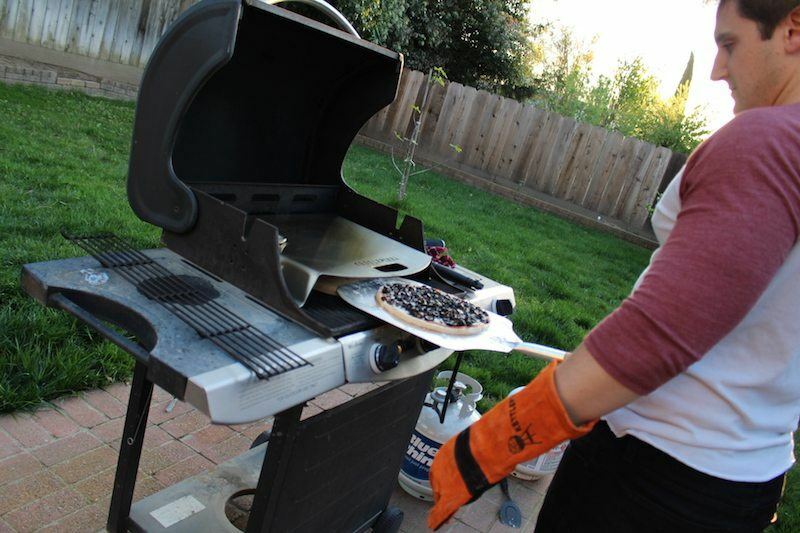 Turning your gas grill into a 800º pizza oven to make homemade artisan (or just fun) pizzas in your backyard is a breeze. This is a very cool way to make your next backyard barbecue unique by turning it into a pizza party, or for having pizza night with the family. Note: I see some negative reviews racking up for Bakerstone from people visiting this page. Well, I thought it was a pretty badass device, but if the low rating scares you, check out this device for your gas grill instead. I'd venture to say that most of us have some kind of fond memories about pizza. Maybe it was a pizza party after your sports events as a kid, surviving college amidst a dorm room full of empty pizza boxes, or having a homemade pizza night with your girlfriend/boyfriend. Making pizza is perfect for everyone because it can be a simple as heating up a frozen pizza in the oven for 15 minutes, or making your own dough using local fresh ingredients to make your own artisan style pizza. Well, now the pizza part has moved into the backyard, and you can actually cook your own pizza on a gas grill. Sure, you've probably seen those amazing wood-fired pizza ovens on Pinterest or Facebook…but those cost upwards of $6,000, or require some serious talent (and time) to construct yourself. Not to mention the space! All of that sounds like a big commitment. 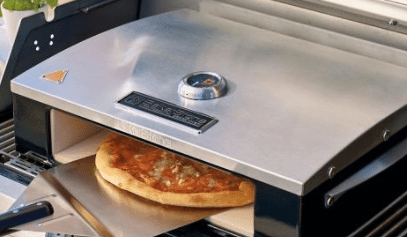 That's why I opted for a little piece of equipment called the BakerStone Pizza Oven Box that converts any 3-burner gas grill into a 750ºF piping hot pizza oven! The BakerStone Pizza Oven Box is a really cool for your backyard barbecue collection because it costs just over a hundred dollars, doesn't require any technical skills to set up, and fits inside your current barbecue rather than requiring you to take up more space on your patio. I'll also introduce you to some other items related to barbecuing pizza in the backyard, so keep reading! The BakerStone Box does require a bit of assembly to get started. It's very simple. I think they just ship it this way so the pizza stones don't break. The entire inside of the box is made of cordierite pizza stone. You can see the assembly process below. All you need is a phillips head screwdriver to complete the assembly process. Once that's done, you're ready to start baking pizza! Easy right? Just set the BakerStone box on top of your grill, light the burners on high, and your'e ready to go. There should be a 1/2 inch space in front of your pizza box, and a 1-inch space on either side of the box as well for ventilation. I have a standard 3-burner gas grill, and it was a perfect fit. One mistake I made, which I discovered after reading the instructions for this review, is that you should not close the grill while using the BakerStone Pizza Box. I'm not sure if this makes the internal temperature too hot, or if it can warp the metal from too much heat on the outside of the box. 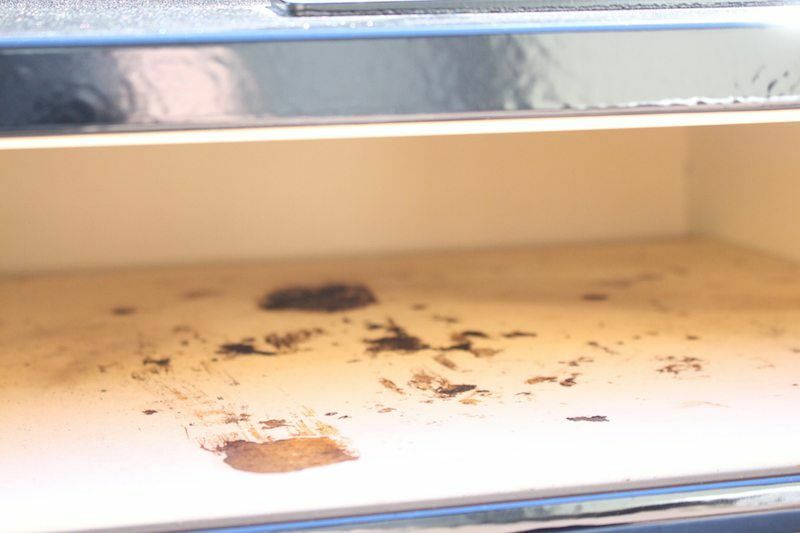 Leave your grill open, since the only part you want to get super hot is the inside of the Pizza Oven Box. On the top of your pizza box is a visual guide of the temperature range of the oven. The “oven” picture means the temperature is between 200ºF – 500ºF. The “fire” picture means it's between 500ºF and 800ºF. After watching a few YouTube videos and even visiting the main BakerStone website, the max temperature seems to be somewhere between 750º and 900º. I wish it had a more precise temperature gauge so I could perfect my pizza cooking skills though. The graphics are fun, but it's hard to remember what temperature I cooked at previously so I can see which pizza crusts taste better. Some professional wood-fired pizza ovens bake pies at around 1000º for 60 seconds or less, so being too hot isn't an issue, as long as you are prepared. But you may be more comfortable with a slower cook that allows your ingredients to bake along with the pizza. It's up to you. I like to bake as hot and quick as possible! Once your cooking temperature is reached, you can place your pizza into the oven using a wooden or metal pizza peel. Preparing the pizza dough for the BakerStone Pizza Oven Box is just like preparing for a wood fired pizza oven. I made my dough in the afternoon, then let it rise for a few hours. I then divided it into two balls, an let it rise for another hour. 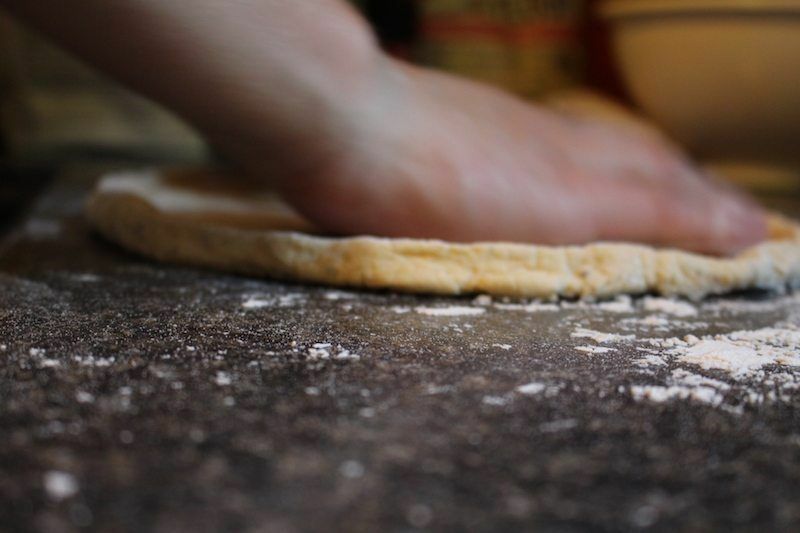 Then I pinched a small crust around the edges and used gravity to help me stretch out the dough. Many people, especially the true pizza enthusiasts will allow their dough to slow rise in a fridge for 24 hours for full flavor development. But for me, I'm impatient. Also, this is backyard pizza making, so I'm not too particular. I threw in some herbs into this dough to make an herbed pizza crust just to experiment! Part of the fun of grilling a pizza is that you can experiment with something new each time. Clockwise: Basil & Mozzarella, Sriracha & Fried Egg, Black Olive & Parmesan, Kalamata Olive & Feta. 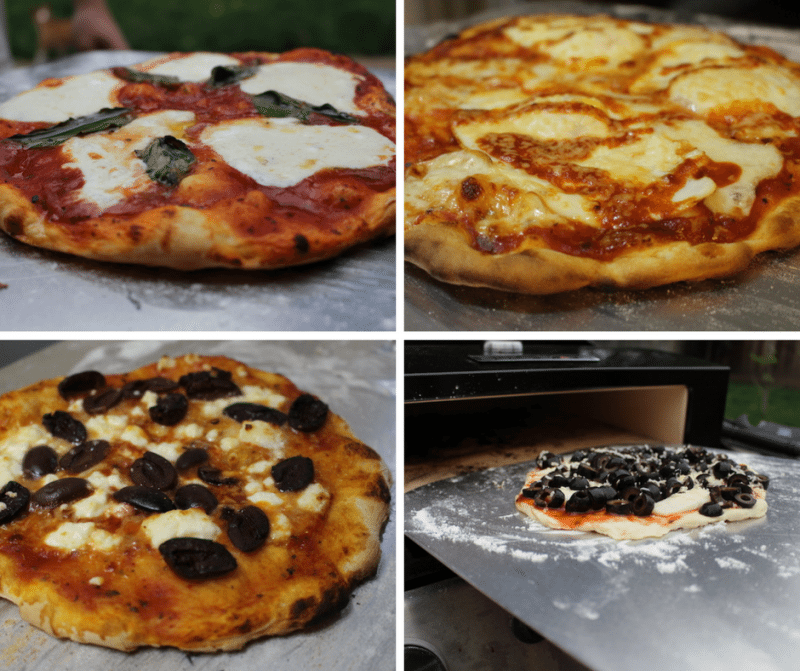 Note: I made smaller pizzas for these photos, and it was raining outside when I barbecued! Be sure and put enough flour on your pizza peel before sending it into the BakerStone Pizza Oven. On one of my first tries with this oven, I didn't do this. It stuck to the peel. By the time I was able to shake it off the peel, I had lost a few ingredients that burned onto the pizza stone You can see below that I lost some cheese and pizza sauce (the black spot) somewhere on the way. This is one of the downsides to the BakerStone box versus other gas grill pizza devices that have a separate pizza stone! Cleaning can be a bit difficult. They recommend leaving the box on the grill for another 15 minutes with the burners on high to char off any excess ingredients. you can then scrape and wipe the gunk off. However, scraping the stuff off can be a chore because you have to stick your hand into the box (when it's COOL, not HOT!). Honestly, the burnt stuff won't affect your final pizza product so it's just a minor issue, but is worth noting if you're going to compare similar products. 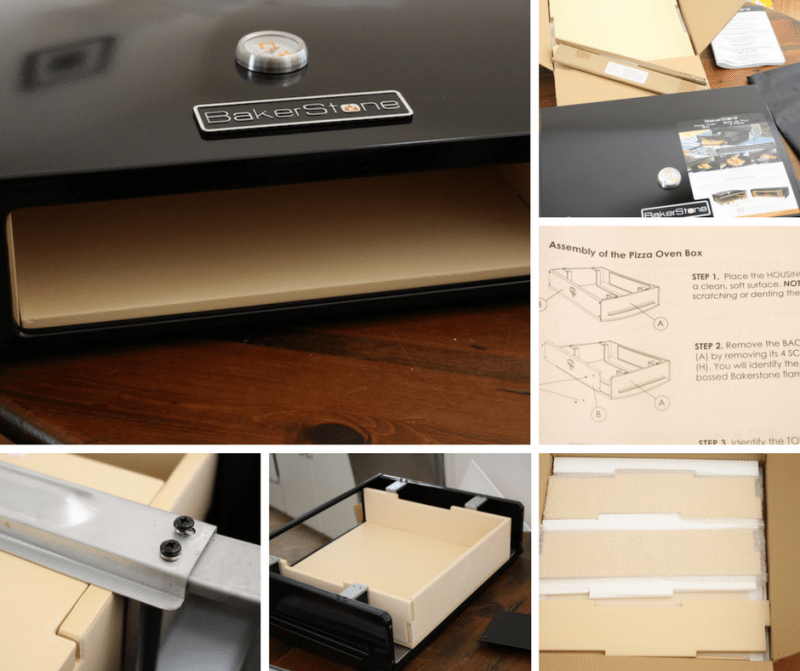 So the main BakerStone Pizza Oven Box is what I'm reviewing in this post. However, there are two other models that are available in different places on the internet. They are no longer available on the BakerStone official website, so I think they are out of production. I personally wouldn't recommend going for the older models since they're no longer being produced, but if they fit what you're looking for, you could definitely try it. A smaller version of the black pizza box is available from Amazon. It's about 19 inches wide instead of 23 inches. Supposedly it fits on a 2-burner grill, although I haven't actually seen this in a photo. There's a few issues with the product listing, so don't trust the photos or the specs. However, commenters have noted that it's not the full size pizza box. It is about 30% cheaper though, so I'm confident it's the smaller version. It also looks like supplies are limited, so it may not be available for long. This version is more expensive than the black version, and is only available from 3rd party sellers, or even in stores like Costco. It's no longer listed in the BakerStone official website. It's about 40% more expensive than the one I reviewed, but it's the same size, with the same features. Do you want to spend an extra $50 for a stainless steel top to your pizza box? Probably not, but it's up to you. The only other gas grill pizza oven accessory that can really compare to the BakerStone Pizza Oven Box is the KettlePizza Gas Pro. I reviewed the KettlePizza Gas Pro over the past weeks alongside the BakerStone product, and there were some distinct differences between the two! I felt that the KettlePizza got hotter faster, and it was easier to maneuver into the bbq as well as store and clean. It was a very convenient device! But the BakerStone sure did look sleek compared to the KettlePizza which was essentially just a piece of stainless steel metal! It's also twice the price of the BakerStone, which can be a tough pill to swallow for some. You can read about the full comparison of BakerStone VS KettlePizza if you are considering one of these two gas grill pizza makers. While looking for gas grill pizza accessories I ran into a product called the Camp Chef Italia Artisan Outdoor Pizza Oven Accessory. Wow, that was a mouthful. I almost bought it, thinking it was a normal grill-top pizza maker like the KettlePizza or the BakerStone. However, it's not. It's a device made specifically for a portable gas grill from the company CampChef. It's smaller, so fits on the 2-burner gas grill, and is made for camping situations where you are taking your portable gas grill with you so you can make pizza while camping. Although this is definitely a cool idea, and I made review something like that in the future, it's not a true comparison to the KettlePizza or BakerStone products. I did read that some users removed the grill grates from their barbecue and were able to cook pizza using the CampChef accessory, but that's not what it was created for, so I can't advise it. I can only recommend that you use products for what they were intended for. Since you already have two great choices, I'd stick with one of the other I've mentioned in this review. Who Is The BakerStone Box Best For? If you love making pizzas and want to enjoy baking them outside for a backyard barbecue, get together, event, etc then the BakerStone is a great buy. It's very inexpensive for what it allows you to do. For a parent, it's a great tool to teach your kids life skills! It teaches them how to cook, how to handle dangerous equipment (barbecue, hot stone), as well as making a plan and executing it. Plus, it allows them to be creative by making their own pies. It's a great activity that the whole family can participate in. Imagine being a kid and making your own crazy pizza right in your own backyard. For anyone else, it's perfect for parties and backyard events. Who wouldn't want to come over for pizza and beer? Make up a bunch of dough balls, cut up some fresh ingredients, and have everyone back their own pizza while you drink a couple beers on the porch. Oh, and by the way, I'll be publishing in the next few weeks! If you have a really nice grill and want a really nice looking accessory then the BakerStone is for you. ==> Get The Bakerstone Box Here! Baking pizzas outdoors is really fun, even if you do it just a few times a year. The BakerStone Pizza Oven Box makes it easy and cheap to do this in your own backyard, with very little time, money, or effort commitment. 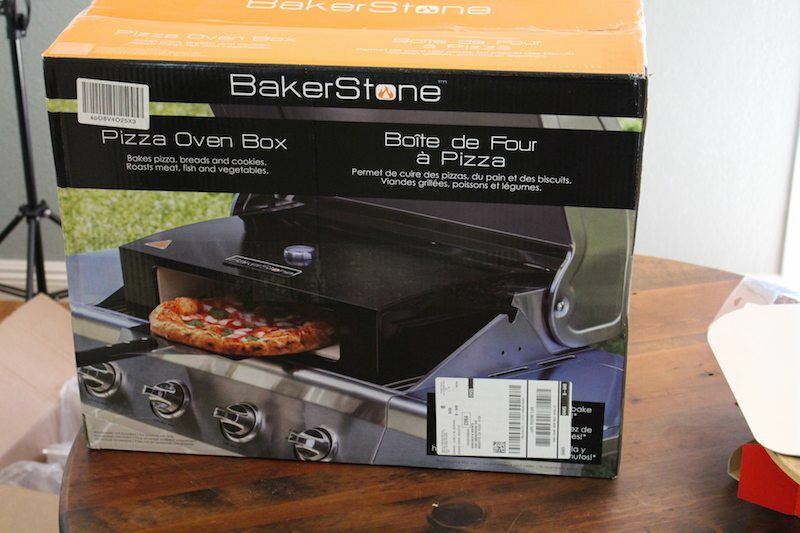 ==> Get The BakerStone Pizza Oven Box Here! I must say, The Pizza Oven Box does make me hungry already! I love to cook and try new things so I might give this product a try. I am a little skeptical of getting it all ready on my grill instead of just throwing it in the oven. However, if the oven box really does add a ‘stone oven’ type of pizza, I’m all in! Yes, it really does create a “stone oven” effect because you’ll be making your pizza at 700+ degrees! The oven only gets up to 500, and normally you’d make an oven pizza at around 400 for 20 minutes or so. This doubles the temperature so cuts down the time to about 10 minutes. I’m not 100% sure why, but quick-baking the pizza dough does effect the mouthfeel and texture of the dough. It’s really important to achieving that wood-fired pizza texture! it’s a really good idea and seems well built but i don’t see it really practical to clean would be amazing if you could just slip off the whole stone, i own a steel that i use in my normal electric oven you just put it close to the radiant and it gets super hot my pizzas are fantastic it’s super easy to clean and no assembly needed. I was looking for other gadgets i’m a bit of a homemade pizza fanatic but at the moment seems like i’ll keep my steel! unless you don’t have another product to review that would be great! That would certainly be a design improvement if you could somehow unclip or remove the bottom pizza stone for easy cleaning. I can see that it was loose, it might fall out, but it seem simple enough to clamp it down then unclamp it. Or maybe introduce a removable lid so that you can get your arm in there to clean the stuff out! You can remove the back, but then you have to take out a screwdriver, flip the thing upside down, and undo the bottom supports. Too much work! I didn’t know anything like this existed. Kind of a cool concept I think. Do you feel like it makes a big difference between cooking in a pizza oven box versus cooking a pizza traditionally in the oven? I don’t know if I’d buy one anytime soon, but if I consider buying one in the future, I will definitely consider the BakerStone Pizza Oven Box. Cooking outside is fun when it’s nice out, so being able to stay outside cooking a pizza well allow more time outdoors to enjoy the weather! Thanks for the review on this product! Actually, I haven’t had oven-baked pizza in so long I should really make one to see how the flavor compares to the BakerStone grilled pizza. In my mind, it tastes better, but that could be just my own bias because it’s more fun to make outside on a grill! I love this review! We are considering getting a gas grill (we currently only use charcoal), and this would be a nice accessory to have. I do have one question: what’s a “peel?” Also, is there anything else you could cook in that oven besides pizza? I’m always looking for versatility! A pizza peel is the long flat stick that you use to get the pizza in and out of the oven. It’s too hot to use your hands, even with protection! One cool thing about the BakerStone box in comparison to my main other gas grill pizza accessor is that this has a wider mouth, so you can cook other things. I’ve seen people cook steaks, salmon, and pies in here. But for me, I’ll stick with the pizza for now. Maybe in the future I’ll experiment with baking other things and see how that goes. It would be a great way of keeping the kitchen cool in the summer. Hi Nathaniell, thanks for another interesting review about the Bakerstone pizza maker. It is very convenient to have this oven box placed directly on the gas grill and we can have a delicious pizza for lunch or dinner. This allow us to have some customization on the pizza. I wonder if this Bakerstone oven box can be used for other application beside making pizza? Yes, the BakerStone could be used to bake a variety of things. Just set the appropriate temperature! You made a very awesome BakerStone Pizza Oven Box review. I am not a big pizza fan, but my son is just dreaming about it. What an excellent idea for his birthday gift. The price is friendly, and I checked that item can be shipped to my location without any problems in a couple of weeks. Thank you for the great idea and perfect review. Bakerstone pizza oven box is really cool. I like pizzas and have never made one outside. So this would be really great experience especially as summer is approaching here and we are planning to get gas grill. However, I read in one Amazon review that the oven doesn’t reach the needed temperature to cook pizza. Is this the same issue that you have mentioned – imprecise cooking temperature gauge? 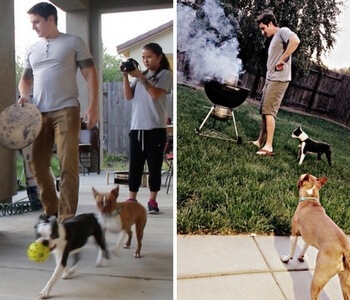 Your pictures look so good that I almost started thinking that I could do this, too! I don’t like to cook and am famous for screwing up the simplest things. Do you think this is something that a non-cook could easily use? It does look like the pizzas would have more flavor and character when cooked this way. Thanks for giving me something to think about! I loveee eating pizza and also making it. Didn’t know before that this product exists. It surely make the process much easier. Don’t have to go to Italy restaurant to get thin crusted pizza. Just wondering though, how does the baking result compare to other methods? Is it better, faster or crispier? Thanks a lot for the very helpful review, I feel really hungry now! I barbeque a lot and this sounds like it would be a great alternative, especially for feeding hungry children. How long does it take, on average, for the Oven Box to reach a good temperature for pizza? It depends on the weather. I tried it on a cold day, and after 20 minutes, it was only 500 degrees. So I closed the bbq lid and then it reached 700 in less than 10 minutes. I imagine on a hot day you could get it to 700 in 20 minutes or less, especially if you close the bbq lid from the outset. But I think it’s better to slow-heat your pizza stone at first! This extention of Your BBQ is even more interesting as the previous of KettlePizza ! 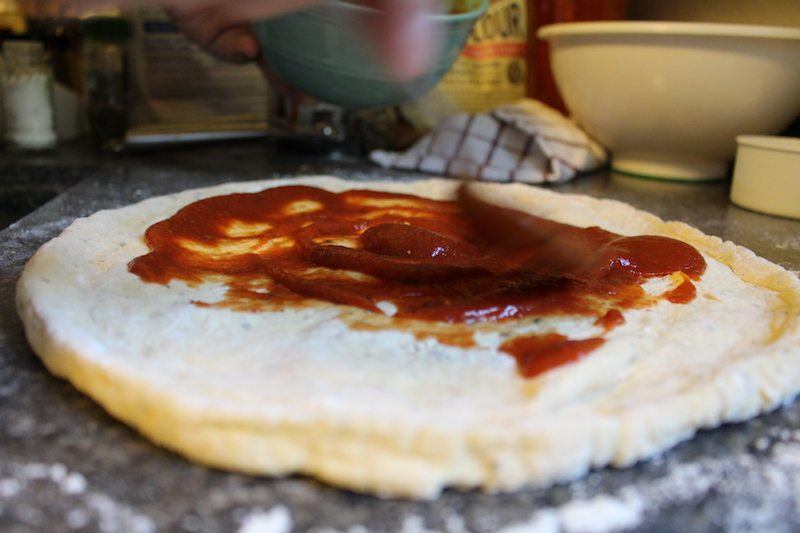 Here you can achieve the real conditions that a Neapolitan style pizza requires ! Short baking time and crispy ! Exceptional for making some ciabattas and calzones too ! Do I have this right that this pizza box goes directly into my grill? I suppose I need to measure my grill to make sure it fits completely? I love how its affordable and there are several different kinds. Do you know if they come with a good warranty because I would think that they are always exposed to high heat and flames on a grill. Thanks for this tip, I love grilling outside. I am sharing your Post and site with friends. 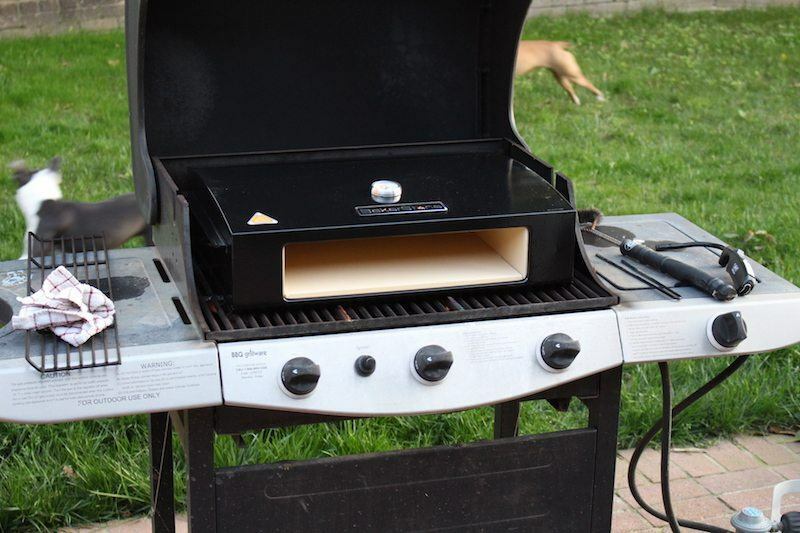 – Matt B.
Technically, yes, you should measure your grill, but it’ll fit any standard 3-burner gas grill. It’s too big for a 2-burner…I tried it at my moms house. I didn’t realize she had such a small grill! I’m not sure on the individual warranties. I’m sure there’s something, but I’ll have to get you back to you on that one! This seems like a great idea to get the most out of that gas grill and a good alternative to the usual outdoor favourites. I have looked at pizza ovens before as a friend of mine has a great one but unfortunately I don’t have the space so this seems like a great option. What a great review! Your pizzas look so delicious! I have never seen a box like this before. A few years ago, we bought my dad a pizza stone for cooking on the grill, not a box. It split in two while he was grilling and created quite the mess! Would this be a safer, more durable option? What? This is awesome. I didn’t know these things existed. Pizza is one of my favorite things in the world. I tried making one in my conventional oven, but it came out mediocre. All of my favorite pizza places use ovens similar to this, so I am sure they come out great. I am getting a house soon, and when I do, I am getting a grill and this oven. Thanks a lot for the info. outdoor pizza making can definitely improve on making them in conventional ovens! This looks amazing. Great tool for baking pizzas at home. Love making pizzas, but to get the rigth cripyness can be tricky and I am therefore looking for a pizza stone or similar. So cool to come across this option. I can see ho it might be difficult to clean, but to save that much compared to other pizza ovens and for the easiness of it, I think it is worth it, and dont think it will be a problem. Thanks for the review and for the tip. For some of the extra stuck-on stuff I’ve started using a soft wire scrubber. I am careful to be extra gentle as to not score the pizza stone, but it helps because I can’t get the proper angle with a flat scraper. I’m not sure if this is proper procedure, but it’s working so far. 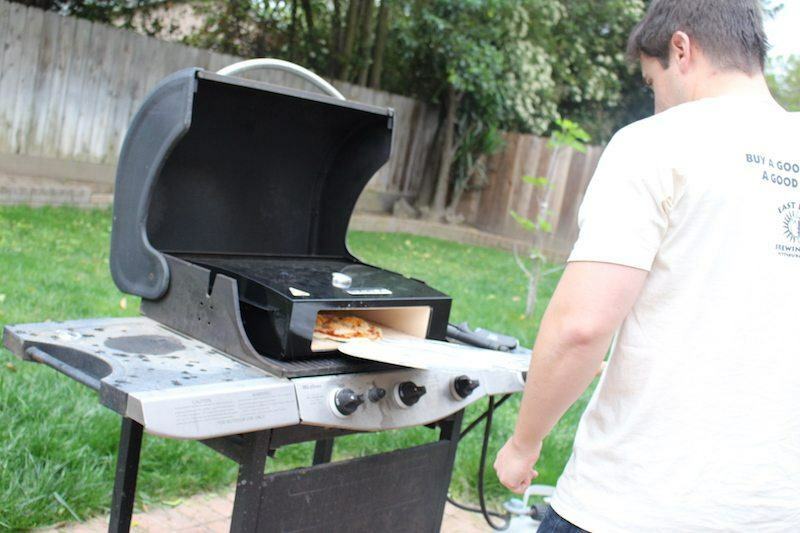 Cooking pizza on a gas grill sounds exciting and I like the idea of cooking pizza outside. I’ve never heard of BakerStone Pizza Oven Box. The cost of this one is just over a hundred dollars is pretty decent. I see it’s easy to set up as well… perfect for me. I am not a big fan of pizzas myself because the ones i have cooked myself are the frozen ones you buy from the grocery store. Maybe using the Bakerstone could entice me and other people to cook pizzas properly using fresh dough. But it would make a good addition to outdoor barbecue’s amongst the hot dogs and cheese burgers. I like your review of this pizza oven. I had no idea that they even made this type of gadgets for barbecues. I regularly make homemade pizzas. I like that. you gave your honest opinion. Would you happen to know if you could use this on a Traeger barbecue. It would be nice to cook outside and not make my house hot during the summer. Yes! A compact and more affordable alternative to a wood-fired pizza oven! Such a great idea – I can’t believe I haven’t heard of this gadget before. I’ve used a pizza stone in a conventional oven in the past and it cracked at one point, so like Katie mentioned, is this something to be concerned about with the BakerStone Pizza Oven Box? With the Bakerstone, it will not be an issue. The stone was designed to use in the barbecue grill in very high temperatures! If you are using another type of grill attachment, you should get a grill-approved pizza stone. This is so awesome – what a cool concept! I seriously love pizza would love to be able to have this at home. Eating out or getting delivery definitely gets expensive. Thanks so much for sharing. Do you feel like it gives a coal-fired pizza taste? Or more of a traditional pizzeria oven? Hi Nathaneill! Your review of these two products was very informative. I was getting hungry while reading it. I am someone who enjoys a good pizza and I choose to eat pizza that has been prepared on a stone surface. The fast food pizza (Domnio’s, Pizza Hut, ETC), don’t taste the same. The Baker Stone product looks like the best, but I would be concerned about cleaning it, as it looks like you have to disassemble it. Seems like a bit of a chore. If I were in the market for one of these, I would have purchased one through your review. This BakerStone Pizza Oven Box looks pretty cool and is definitely something I would like to try out. But I do wonder whether it isn’t easier to just put a pizza stone straight onto the grill instead. Or would that one break? And how easy is this cleaning going to be? Can it handle any form of cleaning products or should I just stick with burning the contents and scraping them off. I am worried to damage the box by scraping or by burning it into the box material. I did not know these even existed…I kind of live in the backwoods though. What a great inventive product! This would be so easy for camping. Just have all the ingredients in baggies in the cooler, have pre-made crusts in the cooler too. Heck as far as that goes you could have a homemade whole pizza in the cooler ready made. My imagination is getting carried away! What does this do to change the temperature when you move the dial if your grill is still going? I am very much impressed to see the review on BakerStone Pizza Oven, and amazed to see how easy it is to make a Pizza at home.I have always seen my mom struggling while making Pizza at home I am thinking of buying one and present it to my mom,so that I can eat pizzas daily and as much as i wish.Can you suggest cheapest place to buy one. This is a very innovative product. I love pizza and I cook, but I have never went over 450F. Interesting. Such a cool product! I think this would be a great gift for father’s day, my dad loves cooking just about anything he can on the grill. Thank you for adding in that the grill shouldn’t be shut – I definitely would have shut the grill if it was my first time using it. This just gets me even more excited for summer and grilling! This is definitely something to consider. I haven’t made pizza on the grill yet, but I do know the value of cooking pizza on a stone as opposed to just putting on the grill, closing the lid and hoping for the best, because I have friends who’ve tried it, with varying results… none of them very good. I once bought a pizza stone at Target for about 35 bucks for use in my gas oven in the kitchen that actually produced pretty decent pizza. My biggest problem has always been trying to make my own pizza dough. For best results, I find that if you go to your favorite pizzaria and ask the owner for a ball of his fresh pizza dough, they usually will sell it to you for between two and five dollars. Believe me, that’s the way to go! I’d just like to say, this pizza box seems like a great way to get a pizza with ts good crust because it mimics that stone grill woodfire experience. Getting that oven really hot and evenly distributing the heatmakes a huge difference in the end result! Amazing review and very informative. Before reading your blog, I didn’t even know there was such a thing! The content certainly answers the question posed at the top- to buy or not to buy? You presented each point clearly and were honest with the pros and cons. By the end, If I were in the market for one, I would definitely go with the Bakerstone. Is it possible to use the Bakerstonebox on a charcoal bbq as well ? Yes, you can use Bakerstone on a charcoal grill. Yes. Inside the Bakerstone would remain the same. It’s the low top that makes the heat so intense. However you want to heat the bottom/outside is up to you!